Nyob zoo! I am MB. I am American Hmong. MB with Little MB at the Fresno HNY preview of Hmongstory 40 in Dec 2014. I like to observe and, at the very least, empathize with people. But sometimes, my naivety, arrogance, and ignorance get in the way. I have a convoluted relationship with my ethnic culture. There are certain aspects of the Hmong society that I wish its people should discard. And yet, in this chaotic mess, I also embrace the colorful richness of my culture. It’s complicated. My parents, along with my younger brother and I, immigrated as refugees to the United States in September of 1987. I don’t remember much about Thailand or the earlier days in America, but I do know that growing up in two very different worlds is tremendously difficult. You breathe, eat, and drink Hmong at home. You are immersed in the American culture once you leave your doorsteps. With both worlds colliding in front of you, what do you do? My heritage brings me a sense of family values and interdependence. The mainstream American culture teaches me to think for myself, dream big, strive for my goals, and be an individual. Conflicted by very dissimilar views, I am infusing the best of both worlds and making it my very own. Read my blog and step into the mind of an American Hmong woman [Disclaimer]. You’re awesome. Thumbs up for embracing both of who you are. Thank you. And you’re awesome to think that I’m awesome! as a new dad, with a multi-ethnic asian baby, we’re still planning out exactly “how” we’re going to approach this. we both want our son to understand and be proud of his heritage from both chinese, korean and vietnamese sides, despite the fact he’ll likely be spending most of his life here in the states. Wow, this blog is great and I love your posts! Keep up the good work!! Wow! Would have not expected to find another Hmong wordpress blogger! I’m gonna totally keep checking out your blog. Keep up the hard work! I love your blog, your insights and writings. It’s lovely and inspiring. 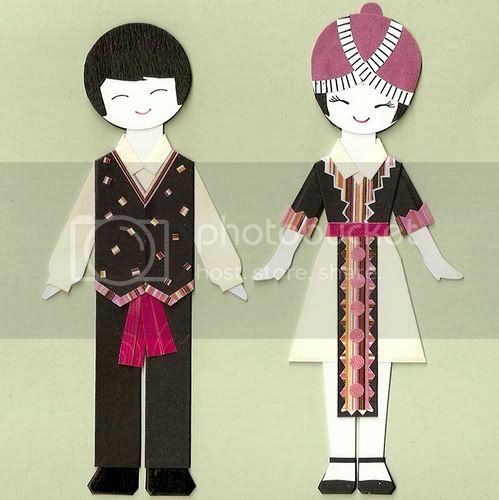 I was wondering if this picture: http://i984.photobucket.com/albums/ae323/leejxyooj/hmong-1.jpg is yours? or you got it off from someone else? Reason i ask is, i couldn’t find your email so i decided to type here, is that i have a youth group and i’m looking for some drawings to have elementary color in. With that picture, i feel tha tthey can color in after i touch it up. If it is yours, would you mind if i take it and have it as a drawing for elementaries to color in? It’s not mine. I got it from a guy online, but now I can’t find his account, so I don’t know how you can get in contact with him. It should be fine. You’re not using it for profit. The design of our blogs are so similar. But you seem to have better contents. Keep it up. Best. Hi there, I’m a Hmong man myself who’s also married and I totally agree with what you wrote. I’m sure I am only one of a handful Hmong men to see eye level with you on various Hmong issues, but you know what, keep on doing what you’re doing. Eventually, it will educate, and educating is the best tool to fight misconception and deception. I enjoyed reading your posts, and have subscribed to you, keep up the great work!! Nice to hear from a Hmong man. Thank you. Nice to see a Hmong blogger.